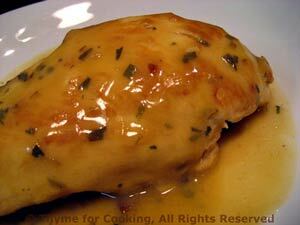 Chicken Breasts, Tarragon Mustard Pan Sauce, Thyme for Cooking gourmet menus. 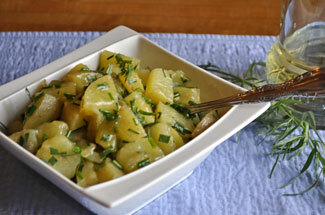 Our last potato salad of the season, this is based on the French recipe. 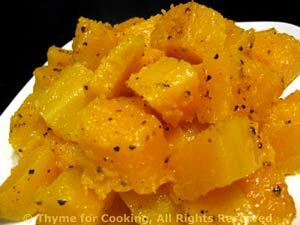 It uses lots of tarragon and is normally warm or room temperature. The chicken, cooked inside, is finished with a light, white wine and stock pan sauce. This should be the last of the butternut squash.